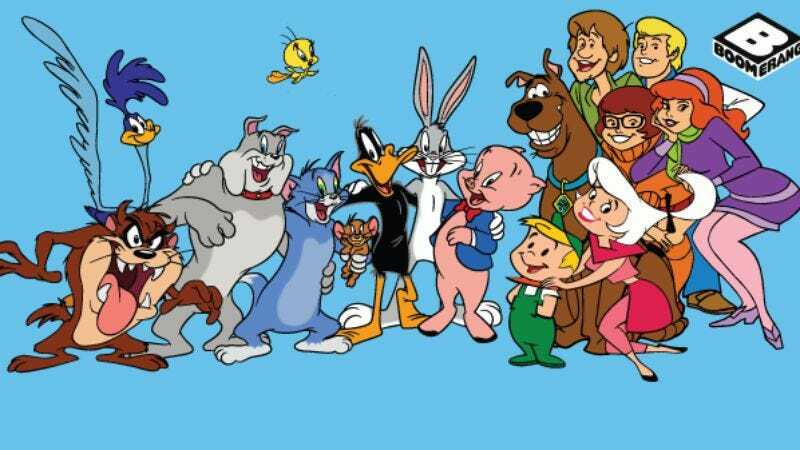 For years, the Boomerang TV network has been the go-to place for classic (and classic-ish) cartoons from the Turner and Warner Bros. vaults, but now the two companies are launching an entire Boomerang-branded streaming service that will actually have new episodes of some old cartoons. This new Boomerang was announced in a press release that also revealed that the streaming service will be the only place you can watch new episodes of Scooby-Doo, Looney Tunes, and Tom & Jerry, along with new original shows like Dorothy And The Wizard Of Oz and a reboot of Hanna-Barbera’s Wacky Races series. Interestingly, Wacky Races is being billed as a “full-engine overhaul” of the old show, but Scooby-Doo and the others are specifically referred to as “new episodes.” That makes us wonder if these will be canonical adventures that continue the original storylines from those shows, which would mean that we might finally get to see the resolution to Tom & Jerry’s shocking cliffhanger finale. Is Jerry really dead? Is Tom still trapped in the Black Lodge? We’ll have to subscribe to Boomerang to find out. Anyway, Boomerang will also feature a rotating selection of old shows like The Jetsons and The Flintstones, with new content coming every week. Once the service launches, it will be available for $5 per month or $40 per year, and you can sign up for more information at the Boomerang website.